Music and Poetry intertwined. Spoken word, music to mentally stimulate thought, encourage writing and promote self love. What's your favorite old skool rap song! Taking your request. 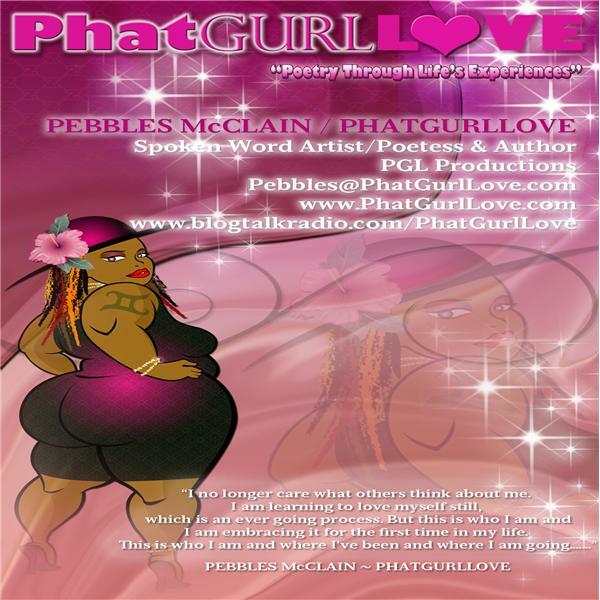 Email request to pebbles@phatgurllove.com! Call in and share your poetry! ~Flashback Jamz and poetry tonight for one hour! Tune in or call in and share!